The Thread Source team was in attendance for the Electrical Council of Florida: Edison chapter trade show and event held April 26 in Fort Myers FL at “The Ranch Concert Hall”. Several other great companies exhibited alongside Thread Source and a great time was had by all. The opportunities for talking with our awesome customers and networking with new faces are always top notch for this event. Safety first! Helping you stay safe on the job site is an important part of what we do here at Thread Source. 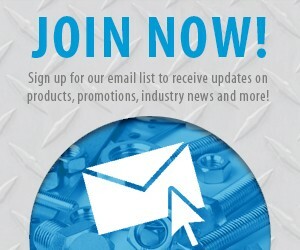 This month we have some great deals to offer you on several of our safety related products! Late last year we posted an article on our blog detailing some important changes being made by OSHA for 2017 regarding fall protection and safety lanyards. Some of the tools and equipment featured in that blog along with several other essential safety products are being offered at a discount during our Safety Specials this month.